Nothing is worse than not having a functional sump pump when you need one most. 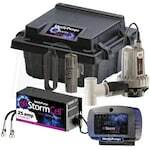 Fortunately, you’ve found our standard output backup sump pump lists, organized by the best-selling, top-rated and expert-recommended backup pumps. This year, we’ve taken the guesswork out of finding the best standard output backup sump pump for you. Browse below and discover the perfect pump for your needs. 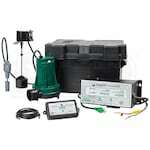 Best Standard Output Backup Sump Pumps - View Our Top-Rated & Best-Selling Standard Output Backup Pumps. 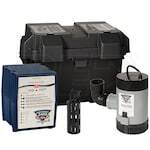 Our sump pump how-to library can help you pick the perfect backup sump pump, primary sump pump or sump pump accessory.